Interview with Prof. Antony Hewish, the 1974 Nobel Prize laureate in physics is important for me since I consider it an exploration in the history of radio astronomy. Antony Hewish, Fellow of the Royal Society was born on May 11, 1924 in Cornwall, Britain. He was awarded the Nobel Prize for Physics in 1974, together with fellow radio-astronomer Martin Ryle, for his work on the development of radio aperture synthesis and its role in the discovery of pulsars. The 88-year-old scientist is one of the first Nobel Prize laureates who are still alive. His close friend and colleague Martin Ryle passed away in 1984 and a great number of his students and fans, lost the opportunity to learn from this prominent British physicist. Prof. Hewish is internationally renowned for his discovery of the first pulsars. He attended King's College, Taunton. He left his undergraduate degree at Gonville and Caius College, Cambridge to attend the Royal Aircraft Establishment and made an acquaintance of Martin Ryle there. He returned to Cambridge in 1946 and started working at the Cavendish Laboratory, which is the Department of Physics at the University of Cambridge, and part of the university's School of Physical Sciences. The Cavendish Laboratory was established in 1875 and so far, 29 scientists working in this laboratory succeeded in winning the Nobel Prize in physics, chemistry and physiology or medicine. Hewish received his doctorate degree in 1952. 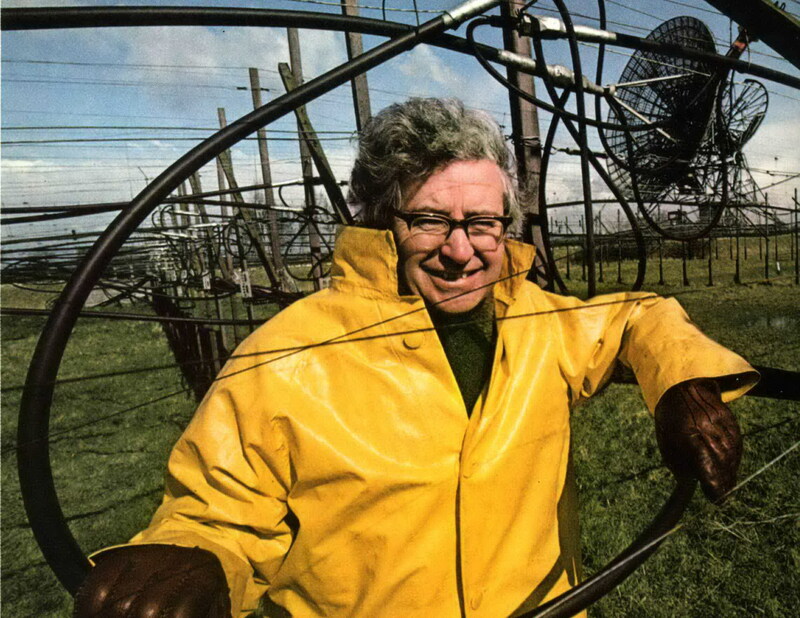 He successfully convinced the administration of the Cambridge University to allocate £20,000 to the creation of Interplanetary Scintillation Array (IPS Array) which was installed at Mullard Radio Astronomy Observatory in 1967 and originally covered 16,000 m². Operating at 81.5 MHz, this radio telescope was one of the pioneering projects of its type at that time. The high-quality data of this radio telescope allowed Antony Hewish and his student Jocelyn Bell to discover the first pulsar. After the Nobel Prize was awarded to Hewish and his colleague Ryle, many people criticized the Swedish Nobel Committee's decision for not sharing the award with Jocelyn Bell who played a pivotal role in the discovery of the first pulsars. Prof. Hewish has interesting viewpoints about the universe and the world which we are living in, and believes that there are certain phenomena and events which don't have any rational and scientific explanation. He believes that science without religion and morality is incomplete and imperfect and that such notions as quantum entanglement have not found any scientific justification so far. I invite you to read this elaborate interview with Prof. Antony Hewish which is being published on CounterCurrents for the first time. Kourosh Ziabari: As my first question, I would like to ask you about your involvement with radio astronomy. What made you interested in this branch of physics and motivated you to become a radio astronomer? What were the magnets of radio astronomy that attracted you? 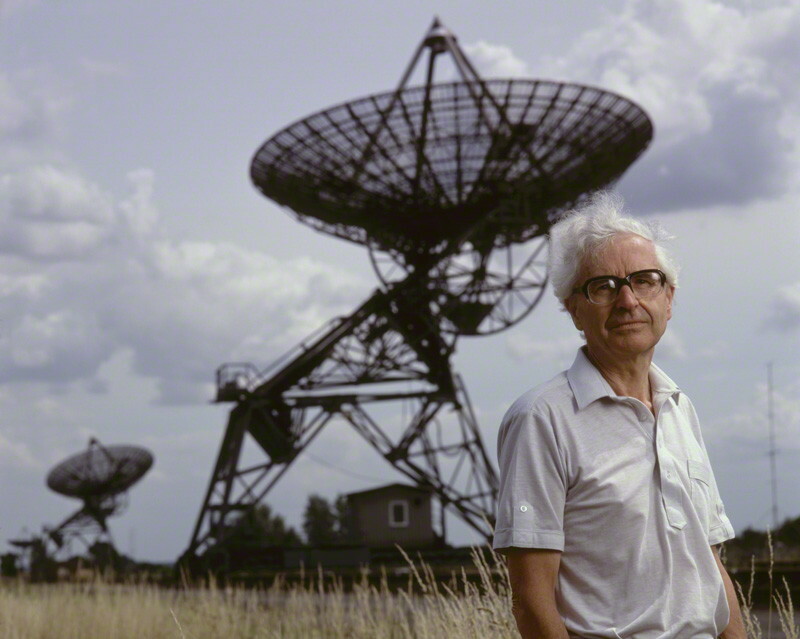 Antony Hewish: My interest in radio astronomy is entirely due to my wartime experience during 1943-45. I began to study physics, mathematics and chemistry at Cambridge in 1942 but towards the end of my first year I was directed to do war service at The Royal Aircraft Establishment at Farnborough. At first I worked on radio receivers but after a few months I was transferred to TRE Malvern which was the top-secret centre for the development of airborne radar devices. I joined a team which, among other things was designing equipment for jamming the radar used by enemy night-fighter aircraft. My main job was to visit the Bomber Command airfield where it was first installed and instruct the RAF technicians how to use it. This involved some flying, but only over England! The leader of the Malvern team was an Oxford scientist named Martin Ryle (with whom I shared the Nobel Prize in 1974) and I quickly came to realize what a brilliant man he was. I returned to Cambridge in 1946, a wiser and more mature person. I completed my degree course in 1948 and did better than I expected, being given the opportunity to start research at the Cavendish Laboratory. I had not planned an academic career at this stage and had no idea which group in the Cavendish to join. When I found that Martin Ryle was at the Cavendish building up a group to study these strange radio waves coming from the Sun and other directions in the sky I jumped at the chance to work with him again. Had it not been for that wartime encounter my career would have been quite different I think. Kourosh Ziabari: You have the experience of studying in Cambridge, one of the most prominent and remarkable academic institutions in the world. Please tell us about the academic environment of the Cambridge, its features and the scientific competition between the students there. How do you describe Cambridge and the years which you spent there? Antony Hewish: As a place in which to have an academic career I cannot imagine anywhere better than Cambridge. Many of the colleges are historic and beautiful and it is inspiring to remember the famous people who have gone before you. Teaching small groups in college (a Cambridge specialty) is always a challenge-they can ask such awkward questions! Then there is the excitement of lecturing 200-300 of the brightest students in the country. Colleges also provide many opportunities to meet, informally, experts in quite different subjects. You mention competition. Of course colleges vie with each other to attract the brightest students, and admission to the University is via the colleges. But I have not found scientific competition within the Cavendish. Research students have their own problems to work on and the different groups get on well together. There could be more competition in mathematics where the final undergraduate examination has an order of merit at the highest levels (eg. Senior Wrangler etc.). There is sometimes friction at the research level -the cosmologist Fred Hoyle was furious when Ryle's observations of radio galaxies at the greatest distances disproved Hoyle's popular "steady state" theory of the Universe. But this is very unusual. Kourosh Ziabari: Please tell us more about your researches and studies at the Cavendish Laboratory. 29 Nobel Prize winning researchers, including yourself, have worked there and the laboratory has an international reputation as a pioneering scientific center. How was the experience of working there? Did working at Cavendish Laboratory contribute to your future academic career and scientific success? Antony Hewish: Working at the Cavendish was good for me as I had the freedom to follow my own interests. Following a suggestion from Martin I started by setting up a simple antenna to measure the polarization of intense bursts of solar radiation emitted when there were large sunspots present. It as this radiation which jammed the radars in 1942. But I soon got bored with waiting for solar activity to occur and got involved with ionospheric research. The first few radio 'stars' as we called them in 1948 had been observed to vary in intensity -they sometimes scintillated on a timescale of seconds to minutes, and I found that this coincided with disturbances in the F-region of the ionosphere, the ionized layer of the upper atmosphere which was then being studied by the reflection of radio waves transmitted from the ground. Radio astronomical scintillation provided a means of probing the whole thickness of the ionosphere and I thought it would be a good idea to exploit this new possibility. I set up a pair of antennas spaced by about 1km and by timing the variations of intensity at each site I was able to measure the size of the ionospheric clouds and the wind speed. It was exciting, as I cycled home after the first observations, to realize that I was the only person in the world to know the wind speed at 300 km above the Earth's surface.. So this research became the main topic for my doctoral dissertation and resulted in several publications. At the same time as my own research I did a great deal of antenna design and testing for Ryle's first radio telescopes -we were a closely-knit team and helped each other whenever possible. Following my ionospheric work I became interested in what we could discover about the Sun's atmosphere, the solar corona. This was a natural extension of what I had been doing. In the early 1950's. Colleagues in our group, and also Russian radio astronomers, had found that radio waves from the Crab Nebula were affected by the solar corona for a few days each June when this source was located at a small angle from the Sun. I realized that the solar corona could affect radio waves passing through it similarly to the ionosphere. Instead of causing scintillation it would simply blur the source out into a broader image. Until then it had only been possible for optical astronomers to see the corona during rare total eclipses. Using our own large radio telescopes, and an interferometer that I set up on a baseline of 10km alongside the Cambridge to Oxford railway line, I was able to study the solar atmosphere out to one half the distance to the Earth! In 1964 came another breakthrough when we found that some radio galaxies showed scintillation when viewed through the solar atmosphere. These were the recently discovered quasars (so called because they contained 'quasi-stellar' very bright zones). In fact this scintillation occurred at any angular distance from the sun so we called it interplanetary scintillation (IPS). As with my ionospheric research I soon exploited this unexpected effect to measure the solar wind in interplanetary space, which had then. just been discovered by the Russian Lunik spacecraft. I was very keen to exploit another possibility raised by the discovery of IPS. By then Ryle had made a sensitive sky survey (using the aperture synthesis technique for which he was awarded the Noble Prize) and located several thousand radio galaxies. Many of these would have been quasars but it was not possible to know which ones. I knew that IPS would distinguish them but Ryle's telescope operated at too high a radio frequency to show the effect. What was needed was a highly sensitive radio telescope tuned to a much lower radio frequency. I designed a suitable telescope in 1965 operating at 81.MHz, but nothing like it had been built before. It consisted of an array of 1024 dipoles arranged in 8 East-West rows of 128 dipoles in each row. The cost of about £20,000 was approved in 1966 and construction began. We used our own efforts and many staff and graduate students assisted in hammering the supporting posts into the ground. This was much cheaper and quicker than seeking funds for a construction team! Grass-cutting beneath the array was done by grazing sheep. We began a sky survey in July 1967, making repeated observations so that IPS could be observed over a wide range of angular distance from the Sun for any radio galaxy. This was necessary for the quantitative measurements of angular size that I had worked out and used before, equivalent to measurements with an interferometer of variable baseline. Analysis of the paper chart recordings was the research project of Jocelyn Bell-Burnell who had joined my team as a graduate student in 1966. I was worried that radio interference might be a major problem so I asked Jocelyn to make a sky map plotting the positions of all significant scintillating sources as the survey proceeded. Genuine galaxies would repeatedly occur in the same positions, whereas interference would be random. In August Jocelyn reported a source that sometimes appeared on the sky map in the same position, but occasionally it was not present. Another odd fact was that it scintillated too strongly. Further investigations in November showed the signal to be a succession of short pulses repeating at regular intervals of just over one second.-we had found the first pulsar! By good luck, our repeated observations of the same regions of sky, and the high sensitivity of the IPS array to signals of rapidly varying intensity, were ideally suited to make this discovery. It was rather like miners looking for tin and unexpectedly finding gold! Kourosh Ziabari: It's said that the regularity of emission of pulses by the pulsars is as precise as atomic clocks. Would you please explain more about pulsars, their nature and their constituents? The study of pulsars confirms the existence of gravitational radiation as predicted by general relativity. What are the other applications of pulsars? Would you please elaborate on it more? Antony Hewish: Immediately following the discovery came a period of intense further work. I set up accurate daily timing measurements, John Pilkington measured the bandwidth of the signal from which I estimated the distance (around 100 light years -amongst the nearest stars) Paul Scott and his student made observations with a separate telescope, and Jocelyn scrutinized our past records for other possible pulsars. It was possible that the signal might be coming from aliens so we did not mention our work. Any hint that we might have found extraterrestrials and the media would have invaded the observatory making serious work impossible! It took about two months to remove the alien possibility and I then submitted our results for publication, suggesting that the pulses might be generated by a white dwarf star, or more likely a hypothetical neutron star, an idea suggested in the 1930s following Chadwick's discovery of the neutron particle. When Stephen Hawking heard our news he was delighted and phoned me to say that if neutron stars existed then black holes were almost certain to occur also. In 1968 the neutron star hypothesis was confirmed by finding a pulsar in the Crab Nebula, the famous remnant of a supernova just where a neutron star should be. Neutron stars are amazing objects, about 20 km in diameter yet more massive than the Sun, with a density around 1000 million tons per teaspoonful. Formed by gravitational collapse, they contain huge magnetic fields and act like giant dynamos, spinning rapidly and emitting radio waves in a beam along the magnetic axis, which is not aligned with the spin axis. So they act like stellar lighthouses with a radio beam sweeping around the sky. Our discovery opened a new chapter in astronomy which is still being actively explored. They are predicted to have a rigid outer crust surrounding a super-fluid neutron liquid interior (a quantum liquid). So they can be thought of as giant labs for studying super-dense matter. A magnetosphere forms outside the surface and particles are accelerated within this atmosphere and radiate over a wide spectrum. Many questions remain unanswered here.. The discovery of two neutron stars in a tight binary orbit led Taylor and Hulse to confirm Einstein's prediction of gravitational radiation. The discovery of another close binary pulsar pair more recently has given information about neutron star atmospheres, because radiation from one passes through the atmosphere of the other. Some pulsars spin amazingly rapidly, at speeds approaching 1000 revolutions per second, the so-called millisecond pulsars. These neutron stars are close to breaking apart and have caused theoreticians to wonder if they could be made of other particles which bind together more tightly. Observers are hoping to find a pulsar in orbit around a black hole! Millisecond pulsars are normal pulsars which have been 'spun up' by accreting mass from a companion binary star and therefore tell us about the evolution of stellar systems. There is no question that further observations will provide more information about stellar systems in our galaxy. Kourosh Ziabari: Would you please tell us more about your field, radio astronomy? It's said that the first astronomical radio source was discovered by Karl Jansky serendipitously. If I'm right, radio astronomy deals with studying the waves which the celestial objects emit. Why do Sun and other celestial objects give off radio waves? Are these waves usable in a way or another? I mean, is it possible to utilize these waves for certain purposes? Antony Hewish: Radio waves from the sky essentially provide another 'window' through which we can see the Universe. This radiation comes from ionized gas, mostly hydrogen, which makes up around 75% of all normal matter, so Karl Jansky really drew the curtains by a lucky accident. Solar activity in the corona accelerates electrons to high energies and these then radiate over a broad band of the spectrum. Other processes occur on a much larger scale in galaxies and reveal the Universe beyond the range of optical telescopes, especially the very young Universe. The radiation as seen from the Earth is of very low energy compared to sunlight and is unfortunately of no practical use. Kourosh Ziabari: Your religious views are very interesting to me. You may know that Iran is a religious society and your view that science and religion are complementary would appeal to many people here. Unlike many high-ranking and Nobel Prize winning scientists, you believe that "the deepest aspects of our existence go beyond our common-sense understanding", as you wrote in the foreword to the "Questions of Truth." Would you please elaborate more on your viewpoints regarding the interrelation between science and religion? Why do many scientists believe that there's no metaphysical world and say that there's no intelligent Creator behind the universe? Antony Hewish: I was brought up in a Christian family (Anglican) and went to a boarding school where we had at least one service in chapel every day. No physicist could tolerate religious dogma or extremism, but I have found that Christianity provides answers to the deeper questions about life and purpose which are beyond the range of science to answer. To me it is nonsense to claim, as some atheists do, that there is nothing worth knowing that is beyond the range of science. Religion is unfashionable in our current materialistic and consumer society, but I have not found Nobel Laureates to be especially atheistic. Accurate statistics are not available, and atheists tend to make more noise, but I know at least 6 examples amongst living physics laureates who are Christians. Being religious means accepting mystery, but so does physics. Things like quantum entanglement, where I can do something to an electron in the lab, and another electron at the edge of the Universe will respond instantly, are not understandable. Kourosh Ziabari: You study the universe and celestial objects at radio frequencies and surely have a clear understanding of the world which we live in. What is the most astounding feature of our world in your view? What is in the Earth and in our mundane world that surprises you the most? Antony Hewish: You make too many assumptions - I wish I did have that knowledge. I think the most astounding fact for me is that we exist! As our knowledge of the evolution of stars and galaxies has advanced it has become clear that the presence of a habitable planet demands an unbelievably precise balance of conditions -the 'fine tuning' factor. For example, the atoms of which we are made demand chemical elements like carbon which are made by nuclear fusion inside stars. We know that they did not exist before stars condensed, and stellar explosions (supernovae) are needed to spread the carbon around. So we are made of stardust from second generation stars, and to get the system working on the right timescales we need to balance the force of gravity against the expansion rate of the Universe. There are many other. factors involved and this fine tuning has to be amazingly precise. Was this just pure chance, as the atheists believe, or was some super-intelligence involved? I cannot believe that we are simply an accident. Kourosh Ziabari: In your biography, you noted that your first research was concerned with the propagation of radiation through inhomogeneous transparent media which remained a lifelong interest for you. Would you please give more details on this research? What results did you reach? Antony Hewish: Following the first full sky survey with the IPS Array I noticed that sometimes certain large areas of the sky showed stronger scintillation than usual. We were observing several hundred scintillating radio galaxies. I assumed that we were detecting some kind of interplanetary weather and began systemic work with more research students. It turned out that we could predict the arrival at Earth of high speed solar wind streams which caused geomagnetic storms and the occurrence of aurorae at high latitude. I think this might be developed into a useful system of providing a warning of the onset of conditions likely to damage spacecraft, or be dangerous to astronauts, but this would need several radio telescopes sited at different longitudes to give sufficient sky coverage to be really useful. A further application of scintillation studies is to investigate the interstellar gas which fills space between the stars in our galaxy. Pulsars have been found to vary in intensity on a variety of timescales and not all of this is intrinsic to the neutron stars. Variations also arise because of diffraction and refraction in the ionized gas between the stars. This is already giving new information about the structure of the interstellar gas clouds and I have done some work here helping to understand observations made with other radio telescopes. Kourosh Ziabari: You have stated that the "scientists have a duty to share the excitement and pleasure of their work with the general public" and that you enjoy "the challenge of presenting difficult ideas in an understandable way." How is it possible to create a bridge between the researchers who study the science in a procedural and methodological way and the general public which is more inclined to learn about the practical applications of the discoveries and achievements made by the scientists? Antony Hewish: I have found the public to be very interested in the progress of science, not just the practical applications. I think that the media and TV often underestimate this. We just do the best we can in our own way! Of course you cannot use mathematics, but people like Bill Bryson ("A short history of nearly everything") do well. Professor Brian Cox, a particle physicist involved with the LHC at CERN also did well for astronomy in a recent TV series. Loud background music and flash-bangs are not helpful! You can't really simplify complicated science. Kourosh Ziabari: I noted that you didn't write about your childhood in your Nobel autobiography. How did you spent that period? Where you an enthusiastic science-loving child from the beginning of your school years? Antony Hewish: I was lucky to live in a small seaside town on the Cornish coast in the west of England. So I relished swimming, fishing and boating, mostly with a brother 3 years older. I was always curious about how things worked, and experimented with chemistry and electrical circuits. At boarding school I made a crystal set radio receiver because ordinary radio was not allowed in the dormitory. So I was always destined to be a scientist, although I did not realize this at the time. Kourosh Ziabari: Radio astronomy is a field which needs enormous investment, remarkable resources and sustainable infrastructure. So, not so many countries in the world can make progress in this field. What's your viewpoint? Is it possible to expand radio astronomy in the developing countries such as Iran on the basis of Western models? How should it be achieved? Antony Hewish: If you want to do radio astronomy in Iran you must first get some enthusiastic graduate students gaining experience by working with established groups elsewhere. Good ideas for observations are always welcome, and there are some amazing radio telescopes nearly operational now, for example the ALMA Array of dishes at Atacama in Chile. Kourosh Ziabari: How did winning the Nobel Prize change your life? What was the impact of winning the prize on your life? Do you think that your life is now different from the life of an ordinary scientist teaching or researching in a British or American university? Antony Hewish: Winning the prize made little difference to my life in Cambridge. I was already a professor at the Cavendish and I continued with teaching and research as before. I did get many invitations to lecture from many parts of the world, so I traveled more than I would have done otherwise. My life continued as an ordinary scientist. I was approached on more than one occasion to consider being Master of a Cambridge college, but that lifestyle would not have suited me. Kourosh Ziabari: During your scientific career, have you ever had the ambition of winning such a prestigious prize as the Nobel Prize in physics? I mean, has it ever been an ultimate goal for you to win a prize and become famous? What was the motive that took you to science and research? 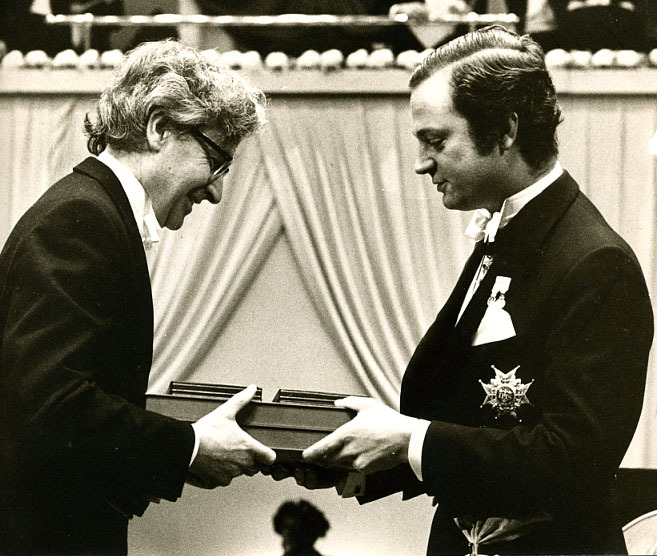 Antony Hewish: I had no thought that I might win such a prestigious prize, and no ambition to be famous; what I was doing was totally fulfilling. I was led into research not knowing where it might lead through my wartime experience and the thought that it was too good an opportunity to miss. Kourosh Ziabari: As my final question, I would like to ask you to send an exclusive and special message to the Iranian readers of this interview; the young, science-loving readers who admire and appreciate the efforts of noble people like you. What do you have to say with them? Antony Hewish: I think that my message to young scientists is this. As we look to the future it is clear that our world is facing grave problems arising from climate change and a growing population. Our survival will depend on breakthroughs in science and technology which are most likely to come from basic research. If you get the chance to participate, go for it.